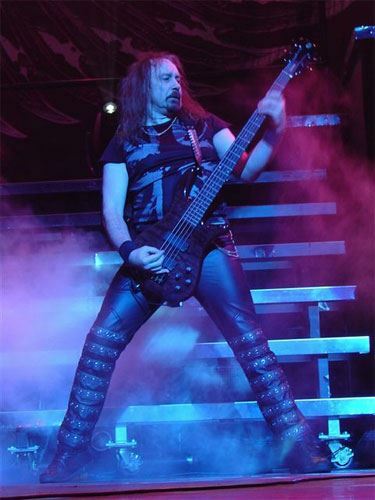 Ian Hill (born on the 20 January, 1951), is the bassist and a founding member of British heavy metal band Judas Priest. He is a childhood friend and schoolmate of fellow band member Kenneth 'KK' Downing. He was briefly married to Rob Halford's sister from 1976 to 1984 until they divorced, and it was through her relationship with Hill that Halford was introduced into the band in 1973.